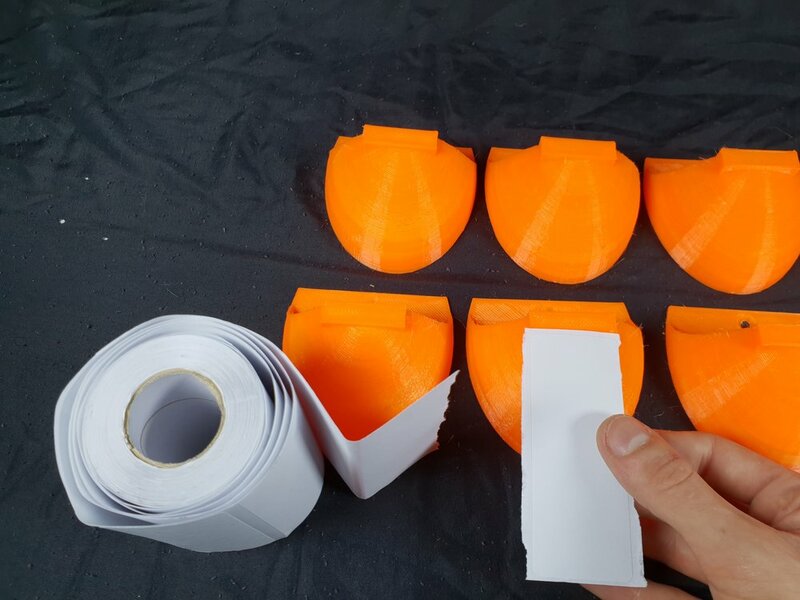 These are 3D printed storage bins, ideal for any workshop or garage for storing small parts. No need to waste money buying expensive storage bins anymore! I use these for storing all of my screws, nuts, bolts and electrical components. Takes less than 50 minutes to print (using 0.4mm nozzle). Don't bother with supports, can print fine without. Attaches to the wall with 1 screw. Print off the storage bins. Cut a label in to 8mm strips. Write on the label before attaching to the pot. Attach storage bins to the wall.